Jose Mourinho and Manchester United visited Northampton for the League cup game on Wednesday night and as expected it prove to be a tough task. United started stronger with Michael Carrick scoring inside first 20 minutes but United failed to build on their lead and were punished just before the break when Northampton scored to make it 1-1. Ander Herrera however Put United back in lead midway through second half. 18′ 0 – 1 Michael Carrick scores with a superb strike in 18th minute of the game to put United in lead. 42′ 1 – 1 Alexander Revell scored after Daley Blind committed a foul inside the box and Revell scored just before the break. 68′ 1 – 2 Ander Herrera scores with first time finish to make it 2-1 for United. 75′ 1 – 3 Marcus Rashford came on as second half sub to score United’s third and settle the tie. After United’s best start to the season in years, they have somehow managed to get themselves under massive pressure and all that started with that defeat against Manchester City after the international break. 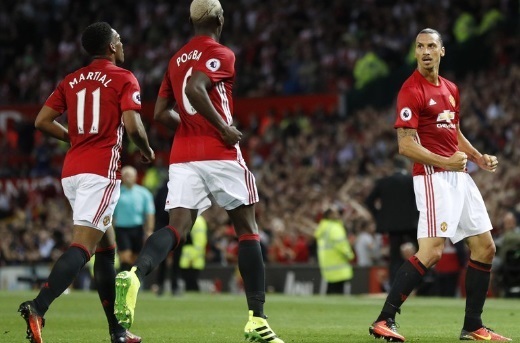 Narrow defeats against Feyenoord and Watford followed resulting pretty much crises situation for Jose Mourinho so early in the season. There are problems at United and its clear to see but if there was one man who can get them out of this mini crises its Mourinho. They start with League Cup game which will be followed by all important away game against Leicester City. United are likely to make several changes to starting lineup with Rashford expected to start upfront with Lingard, Mata and Memphis Depay playing in attacking roles. Ander Herrera and Morgan Schneiderlin to take central midfiel roles and we might see Daley Blind starting alognside Smalling or even Michael Carrick. Darmien and Rojo to start in fullback positions and De Gea might be rested. Northampton Town do not represent much of a threat but neither did Feyenoord or Watford where United were widely expected to win. The current situation at United has allowed teams to bully them and League one side Northampton Town who has only lost 1 game so far this season will provide a tough task specially with number of changes expected in United ranks. Surely Mourinho can not afford another defeat and I expect United to get through this game with a win one way or the other which will restore some faith both in players and fans alike.